And I saw a beast rising out of the sea.... (v. 1). Then I saw another beast rising out of the earth.... (v. 11). In Revelation 13, there are two beasts. These two beasts can be interpreted three ways (and perhaps all three can be seen as valid). First, the beasts symbolize the Roman emperor and the Imperial cult during the first century. Second, the beasts symbolize opposition to God and His people during this present age. Third, the beasts symbolize two individuals, the antichrist and the false prophet (cf. 19:20), who will rise to power before the second coming. There are several allusions to Daniel 7 in Revelation 13. In Daniel 7, there are four beasts: one that looked like a lion, one that looked like a bear, one that looked like a leopard, and one that had ten horns. In Revelation 13, the beast out of the sea looks like a leopard, has feet like a bear, has a mouth like a lion, and has ten horns. The four beasts of Daniel 7 symbolized four kingdoms (probably Babylon, Persia, Greece, and Rome). So the beast out of the sea probably symbolizes human power—human power that Satan uses in his attempts to oppose God and the saints. The word “antichrist” is only found in John’s epistles. John writes that the “spirit of the antichrist” was already in the world in his day—in the form of false teachers. “Children, it is the last hour, and as you have heard that antichrist is coming, so now many antichrists have come” (1 John 2:18). “Every spirit that does not confess Jesus is not from God. This is the spirit of the antichrist, which you heard was coming and now is in the world already” (1 John 4:3; cf. 2:22; 2 John 7). The dragon (Satan), the Antichrist, and the false prophet form an unholy trinity. “As Christ received authority from the Father (Matt. 11:27), so Antichrist receives authority from the dragon (Rev. 13:14), and as the Holy Spirit glorifies Christ (John 16:14), so the false prophet glorifies the Antichrist (Rev. 13:12)” (Robert H. Mounce). God’s sovereignty is seen throughout this chapter in the world “allowed” (vv. 5, 7, 14, 15). Though Satan and the beasts may seem to be in control of this world, their actions are only permitted by God. In the end, God will defeat and judge them and prove His sovereignty. Also [the first beast] was allowed to make war on the saints and to conquer them (v. 7). And by the signs that [the second beast] is allowed to work in the presence of the beast it deceives those who dwell on earth (v. 14). What strategies does Satan use to try to get us to conform to his ways? Strategy #1: Deception. How can you detect deception? By knowing God’s word. If Satan’s first strategy is unsuccessful, he moves on to his second strategy. The false prophet “caused all...to be marked on the right hand or the forehead” (v. 16). What is the mark of the beast? Is this a literal mark or a symbolic mark? In Deuteronomy 6:8, Moses told the people of Israel, “You shall bind [the words of the law] as a sign on your hand, and they shall be as frontlets between your eyes.” Though many Jews have obeyed this command literally with phylacteries, it was intended to have a symbolic meaning: follow God with your head (what you think) and your hands (what you do). 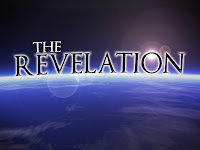 In Revelation, there are two marks: the mark of the beast and “the seal of the living God” (the 144,000 are sealed “on their foreheads,” Revelation 7:1-8). These marks symbolize a person’s loyalty: either to the beast or to God. Those who do not worship the image of the beast are “slain” (v. 15). Whose wrath would you most want to avoid: God’s or Satan’s? Of course, God’s wrath (holy) and Satan’s wrath (evil) are two very different kinds of wrath! Jesus said, “Do not fear those who kill the body but cannot kill the soul. Rather fear him [God] who can destroy both soul and body in hell” (Matthew 10:28). This calls for wisdom: let the one who has understanding calculate the number of the beast, for it is the number of a man, and his number is 666 (v. 18). In Revelation, 7 is the number of completion. Without Jesus Christ, we are incomplete. People are constantly searching for completion. They have been deceived into thinking that they can find it on their own. So they look for it in many things—accomplishments, freedom, money, marriage, children. The list goes on and on. But without Christ in a person’s life, there will always be an empty space. Are the following instances of the number six in Scripture a coincidence? Man was created on the sixth day. Nebuchadnezzar’s image of gold (a monument to the glory of man) measured “sixty cubits” high and “six cubits” wide (Daniel 3:1). “The weight of gold that came to Solomon in one year was 666 talents of gold” (1 Kings 10:14). Augustine said, “Thou hast made us for Thyself, O Lord, and our hearts are restless until they find their rest in Thee.” Jesus said, “Come to me, all who labor and are heavy laden, and I will give you rest” (Matthew 11:28). In eternity, those who put their trust in the beast will “have no rest, day or night” (Revelation 14:11). But those who put their trust in the Lamb will “rest from their labors” (Revelation 14:13). They will be satisfied, fulfilled, complete. Have you put your faith in Jesus? Have you found completion in your life? 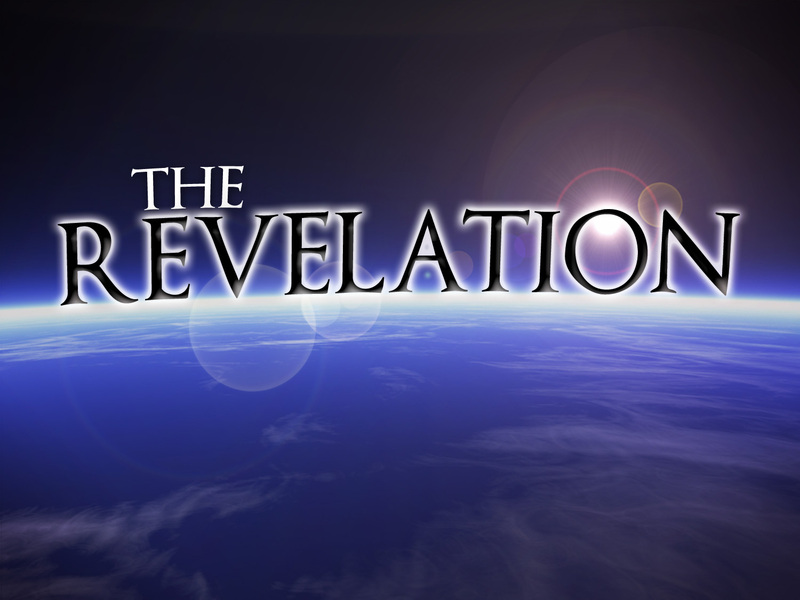 Who do the three characters of Revelation 12 represent? The woman represents the messianic community (first Israel and then the church). In the Old Testament, Israel longed for the arrival of the Messiah (like a pregnant woman longs for the birth of her baby). Today, the church longs for His return. The dragon represents Satan. “Red” (v. 3) represents bloodshed. Jesus said, “He was a murderer from the beginning” (John 8:44). The “seven heads,” “ten horns,” and “seven diadems” (v. 3) might represent his intelligence and power. Verse 4 says, “His tail swept down a third of the stars of heaven and cast them to the earth” (v. 4). This probably refers to Satan’s original rebellion. The “stars” are fallen angels. And the dragon stood before the woman who was about to give birth, so that when she bore her child he might devour it (v. 14b). And when the dragon saw that he had been thrown down to the earth, he pursued the woman who had given birth to the male child (v. 13). How does the dragon fail? First, Satan could not devour Jesus. Satan tried to prevent the birth of the child by attempting to destroy Israel. “Then the king of Egypt said to the Hebrew midwives..., “When you serve as midwife to the Hebrew women and see them on the birthstool, if it is a son, you shall kill him” (Exodus 1:15-16). “Haman sought to destroy all Jews...throughout the whole kingdom of Ahasuerus” (Esther 3:6). Satan attempted to devour the child through Herod. “Then Herod, when he saw that he had been tricked by the wise men, became furious, and he sent and killed all the male children in Bethlehem and in all the region who were two years old or under” (Matthew 2:16). Throughout Jesus’ ministry, Satan tried to incite people to kill Jesus. Eventually, Satan used Judas to bring Jesus into the hands of His enemies. “Satan entered into Judas” (Luke 22:3; John 13:2; 27). Satan probably thought he had devoured Jesus when He was crucified. Did the cross devour Jesus? No! The cross is not the defeat of Jesus; it is the defeat of Satan. After the sin of Adam and Eve, God pronounced a curse upon Satan. He said to “that ancient serpent” (v. 9), “I will put enmity between you and the woman, and between your offspring [seed] and her offspring [seed]; he shall bruise your head, and you shall bruise his heel” (Genesis 3:15). The “woman’s seed” is Jesus. Satan would bruise Jesus' head (the cross), but Jesus would bruise Satan's head (a fatal blow). This verse has been called the “Protoevangelium,” the first announcement of the gospel. Second, Satan cannot devour the saints. “The woman was given the two wings of the great eagle so that she could fly from the serpent into the wilderness” (v. 14). The wilderness (v. 6) was a place of provision for Israel. The “1,260 days” (v. 6) and “a time, and times, and half a time” (v. 14) refer to a period of persecution during which the people of God are spiritually nourished. “They that wait for the LORD shall renew their strength; they shall mount up with wings like eagles” (Isaiah 40:31). And they have conquered him by the blood of the Lamb and by the word of their testimony, for they loved not their lives even unto death (v. 11). Satan is a defeated foe. "He knows that his time is short!” (v. 12). How can we daily defeat Satan? First, by trusting in the power of Jesus’ blood. Our enemy “is called the devil and Satan” (v. 9). “Devil” means “slanderer” or “accuser.” “Satan” means “adversary” or “enemy.” Satan is “the accuser of our brothers [and sisters]...who accused them day and night before our God” (v. 10; cf. Job 1:6-12; 2:1-6; Zechariah 3:1-2). But he has been “thrown down” (v. 10). Satan is like a prosecutor. Jesus is like a defence attorney. “My little children, I am writing these things to you so that you may not sin. But if anyone does sin, we have an advocate with the Father, Jesus Christ the righteous. He is the propitiation for our sins, and not for ours only but also for the sins of the whole world” (1 John 2:1-1). Those who are cleansed by the blood of Jesus will never be condemned. “There is therefore now no condemnation for those who are in Christ Jesus” (Romans 8:1). “Who shall bring any charge against God’s elect? It is God who justifies” (v. 33). Nothing “will be able to separate us from the love of God in Christ Jesus our Lord” (v. 39). Second, by loving Jesus more than life. Jesus said, “Do not fear those who kill the body but cannot kill the soul” (Matthew 10:28). “If anyone would come after me, let him deny himself and take up his cross and follow me. For whoever would save his life will lose it, but whoever loses his life for my sake and the gospel’s will save it” (Mark 8:34-35). If you love Jesus more than life, Satan is powerless against you. Prayer changes the world around us. God sovereignly uses our prayers to fulfill His perfect plan. “Therefore confess your sins to each other and pray for each other so that you may be healed. The prayer of a righteous man is powerful and effective. Elijah was a man just like us. He prayed earnestly that it would not rain, and it did not rain on the land for three and a half years. Again he prayed, and the heavens gave rain, and the earth produced its crops” (James 5:16-18). There is no secret formula that will guarantee that our prayers are always answered in the way we desire. First, pray with a pure heart. “If I had cherished iniquity in my heart, the Lord would not have listened. But truly God has listened; he has attended to the voice of my prayer” (Psalm 66:18-19; see also Matthew 5:12, 14; 1 Peter 3:7). Second, pray with a selfless heart. “You ask and do not receive, because you ask wrongly, to spend it on your passions” (James 4:3; see also 1 John 5:14-15). Third, pray with an believing heart. “But let him ask in faith, with no doubting, for the one who doubts is like a wave of the sea that is driven and tossed by the wind. For that person must not suppose that he will receive anything from the Lord” (James 1:6-7). But faith does not force God to do as we wish. Fifth, pray with a submissive heart. "Father, if you are willing, remove this cup from me. Nevertheless, not my will, but yours, be done” (Luke 22:42; see also Romans 8:28). Sixth, pray with a willing heart. You could play a part in answering your own prayer! “The nations raged, but your wrath came” (v. 18a). “The nations were filled with wrath, but now the time of your wrath has come” (NLT). “The kingdom of the world has become the kingdom of our Lord and of his Christ, and he shall reign forever and ever” (v. 15b). The book of Revelation was written to Christians who were being persecuted. “But Peter and the apostles answered, ‘We must obey God rather than men’” (Acts 5:29). “[The temple] is given over to the nations, and they will trample the holy city for forty-two months” (v. 2b). And when [the two witnesses] have finished their testimony, the beast that rises from the bottomless pit will make war on them and conquer them and kill them (v. 7). “We give thanks to you, Lord God Almighty, who is and who was, for you have taken your great power and begun to reign. The nations raged, but your wrath came, and the time for the dead to be judged, and for rewarding your servants, the prophets and saints, and those who fear your name, both small and great, and for destroying the destroyers of the earth” (vv. 17-18; cf. Psalm 2). “But the LORD is the true God; he is the living God and the everlasting King. At his wrath the earth quakes, and the nations cannot endure his indignation” (Jeremiah 10:10). “The LORD, the God of Israel, said to me: ‘Take from my hand this cup of the wine of wrath, and make all the nations to whom I send you drink it’” (Jeremiah 25:15). “The LORD is a jealous and avenging God; the LORD is avenging and wrathful; the LORD takes vengeance on his adversaries and keeps wrath for his enemies. [...] Who can stand before his indignation? Who can endure the heat of his anger? His wrath is poured out like fire, and the rocks are broken into pieces by him” (Nahum 1:2, 6). “The wrath of God is revealed from heaven against all ungodliness and unrighteousness of men, who by their unrighteousness suppress the truth” (Romans 1:18). First, God’s wrath is personal. “But your wrath came” (v. 17). God’s wrath is not merely an impersonal “cause and effect” wrath (e.g., you punch a wall and you break your hand). Second, God’s wrath is certain. “Let no one deceive you with empty words, for because of these things the wrath of God comes upon the sons of disobedience” (Ephesians 5:6). “On account of these [sins] the wrath of God is coming” (Colossians 3:6). “The great day of their wrath has come, and who can stand?” (Revelation 6:17). “[God] has fixed a day on which he will judge the world” (Acts 17:31). The greatest miracle in the world is God’s patience. Third, God’s wrath is horrible. The book of Revelation reveals the awfulness of God’s wrath. “He [who worships the beast] also will drink the wine of God’s wrath, poured full strength into the cup of his anger, and he will be tormented with fire and sulphur in the presence of the holy angels and in the presence of the Lamb” (Revelation 14:10). “So the angel swung his sickle across the earth and gathered the grape harvest of the earth and threw it into the great winepress of the wrath of God. And the winepress was trodden outside the city, and the blood flowed from the winepress, as high as a horse’s bridle, for 1,600 stadia” (Revelation 14:19-20). “The great city was split into three parts, and the cities of the nations fell, and God remembered Babylon the great, to make her drain the cup of the wine of the fury of his wrath” (Revelation 16:19). “From [Christ’s] mouth comes a sharp sword with which to strike down the nations, and he will rule them with a rod of iron. He will tread the winepress of the fury of the wrath of God the Almighty” (Revelation 19:15). Fourth, God’s wrath is right. “We give thanks to you, Lord God Almighty” (v. 17). The twenty-four elders praise God for His wrath and judgment of sin. “Shall not the judge of all the earth do right?” (Genesis 18:25, KJV). Fifth, God’s wrath is avoidable. “Those who fear your name” (v. 18). What do we mean when talk about being “saved”? From what are we saved? We are saved from the wrath of God. “Since, therefore, we have now been justified by [Christ’s] blood, much more shall we be saved by him from the wrath of God” (Romans 5:9). We “wait for [God’s] Son from heaven, whom he raised from the dead, Jesus who delivers us from the wrath to come” (1 Thessalonians 1:10). “For God has not destined us for wrath, but to obtain salvation through our Lord Jesus Christ” (1 Thessalonians 5:9). In Scripture, the wrath of God is often described as a cup. “[Jesus] fell on his face and prayed, saying, ‘My Father, if it be possible let this cup pass from me; nevertheless, not as I will, but as you will.’ [...] Again, for the second time, he went away and prayed, ‘My Father, if this cannot pass unless I drink it, you will be done’” (Matthew 26:39, 42). The cup of the Lord’s Supper is a reminder that Jesus faced the wrath of God in our place. We can never understand the love of God until we understand the wrath of God. 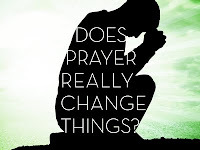 Part 3 in a Bible study series called Does Prayer Really Change Things? We are in a real spiritual battle. “For we do not wrestle against flesh and blood, but against the rulers, against the authorities, against the cosmic powers over this present darkness, against the spiritual forces of evil in the heavenly places” (Ephesians 6:12). We are to resist the devil and he will flee from us. “Submit yourselves therefore to God. Resist the devil, and he will flee from you” (James 4:7; see also 1 Peter 5:9). We are to use spiritual weapons to overcome evil. “And take...the sword of the Spirit, which is the word of God, praying at all times in the Spirit, with all prayer and supplication. To that end keep alert with all perseverance, making supplication for all the saints” (Ephesians 6:17-18; see also 2 Corinthians 10:3-4). In 2 Chronicles 20, Moab and Amon came to battle against Judah, and King Jehosh-aphat proclaimed a fast in the land. “And Judah assembled to seek help from the Lord; from all the cities of Judah they came to seek the Lord” (v. 4). The first thing to do when you are in spiritual warfare is to ask help from God. The Lord reminded the people, “Do not be afraid or discouraged because of this vast army. For the battle is not yours, but God’s” (v. 15). God wants to fight our battles for us. What we need to do is go to Him in prayer and ask for His help. Pray always. We must develop a lifestyle of prayer. “Pray without ceasing” (1 Thessalonians 5:17). Be watchful. “Watch and pray that you may not enter into temptation. The spirit indeed is willing, but the flesh is weak” (Matthew 26:41). 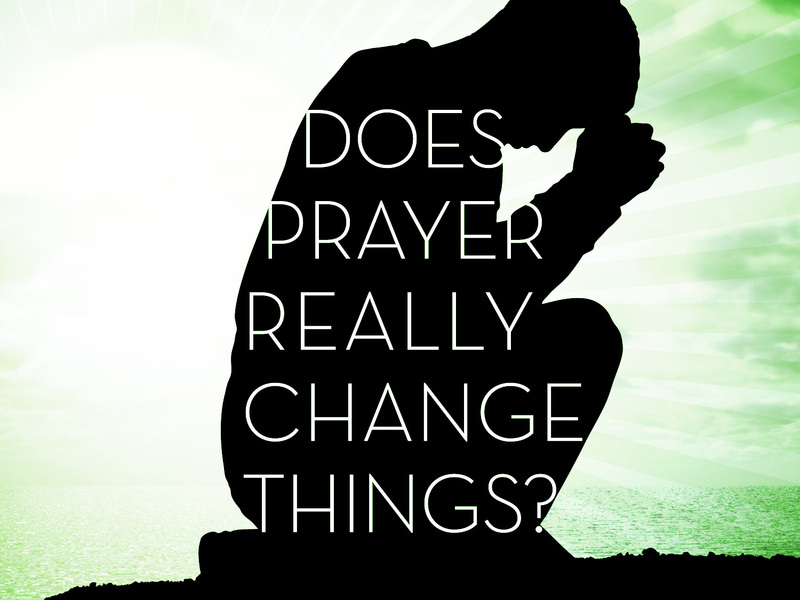 Part 2 in a Bible study series called Does Prayer Really Change Things? Intercessory prayer is prayer for others. In intercessory prayer, we act as priests, taking the needs of others before God. This is what our “great high priest” (Hebrews 4:14) does for us. “There is one God, and there is one mediator between God and men, the man Christ Jesus” (1 Timothy 4:5). Jesus is at the right hand of God “interceding for us” (Romans 8:34; see also Hebrews 7:25). Paul was an intercessory prayer warrior. He constantly prayed for others (Romans 1:9; 1 Corinthians 1:4; Ephesians 5:16; Philippians 1:4; Colossians 1:9; 1 Thessalonians 1:2; 2 Thessalonians 1:11; 2 Timothy 1:3; Philemon 1:4). In Paul’s intercessory prayers, he put spiritual needs before physical needs. When we pray for someone facing some form of adversity, we usually pray that the adversity would be removed. However, consider that sometimes God intends for the adversity to benefit that person in some way. Intercessory prayer is the duty of all Christians. “I appeal to you, brothers, by our Lord Jesus Christ and by the love of the Spirit, to strive together with me in your prayers to God on my behalf” (Romans 15:30). Intercessory prayer is not the job of a special class of Christians. Paul appealed to all the "brothers [and sisters]" in Rome to pray for him. Intercessory prayer is a way of loving others. Richard Foster writes, "If we truly love people, we will desire for them far more than it is within our power to give them, and this will lead us to prayer.” How many times have you told someone, "I'll remember you in my prayers," and never did. Intercessory prayer is often answered by God. Here are three examples from Scripture: Abraham’s prayer for Sodom (Genesis 18:22-26), Moses’ prayer for Israel (Numbers 14:11-20), the church’s prayer for Peter (Acts 12:1-17). Near the cross of Jesus stood his mother, his mother’s sister, Mary the wife of Clopas, and Mary Magdalene. When Jesus saw his mother there, and the disciple whom he loved standing nearby, he said to his mother, “Dear woman, here is your son,” and to the disciple, “Here is your mother.” From that point on, this disciple took her into his home (John 19:23-27). Mary proudly holds her newborn baby boy as she and her husband Joseph enter the temple court in Jerusalem. Only forty days ago she gave birth to Jesus. Today they have made the short trip from Bethlehem to dedicate her firstborn son to the Lord. As they make their way through the crowd, an elderly man spots them. His name is Simeon. God has revealed to him that he will not die until he sees the Messiah. That day has come. To Mary’s surprise, Simeon takes her baby in his arms and praises God, saying: “Sovereign Lord, as you have promised, you now dismiss your servant in peace. For my eyes have seen your salvation, which you have prepared in the sight of all people, a light for revelation to the Gentiles and for glory to your people Israel” (Luke 2:29-32). The old man’s words amaze Mary and Joseph. But Simeon is not finished. He looks at the boy’s mother and says, “This child is destined to cause many in Israel to fall, but he will be a joy to many others. He has been sent as a sign from God, but many will oppose him. As a result, the deepest thoughts of many hearts will be revealed” (vv. 34-35a). Then Simeon says something Mary will never forget. “And a sword will pierce your very heart” (v. 35b). Now Mary understands Simeon’s prophecy. The little baby that she had once held in her arms is now hanging on a Roman cross. And her heart is pierced. She remembers kissing her boy’s brow as she put Him to bed. Now that brow is marred by a crown of thorns. She remembers guiding his tiny hands and feet as He learned to walk. Now those hands and feet are nailed to a cross. She remembers rubbing His back to console her crying Son. Now that back is bloodied and beaten. Now as Mary stands beside her Son’s cross, she wonders if Jesus is now finishing the final piece of His Father’s business. But still, her heart is pierced. She had experienced the sorrow of losing Him for just three days. Now she is losing Him to death. In John 19, there may be a connection between the seamless garment and Jesus' words to Mary from the cross. It's possible that this garment had been made by Mary, sewn with a mother’s love. And now as the Roman soldiers gamble for this garment, Jesus’ eyes turn to Mary. Even as Jesus was dying, He didn’t stop thinking of others--especially His mother. At the time of Jesus’ death, Mary was probably between 45 and 50 years old. And since we never read of Joseph after the visit to Jerusalem when Jesus was twelve, it seems that Mary was a widow. In Jesus’ words to Mary and John we learn an important lesson: a person should never stop honoring his mother. As Christians, we must also remember that we form a spiritual family. Jesus points to each of His followers here today and says to us, “Here is your son. Here is your mother. Here is your father. Here is your brother. Here is your sister. Here is your child.” We are to love one another as Christ has loved us. 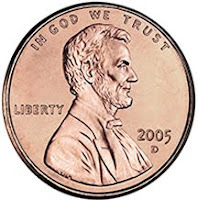 I'm sure you know that the phrase "IN GOD WE TRUST" is written on American coins. 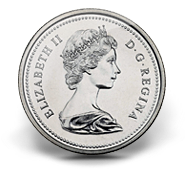 But perhaps you aren't aware that God is also mentioned on Canadian coins. Next to the Queen's image the words "D. G. REGINA" can be found. This is a Latin phrase. The letters "D. G." stand for dei gratia. Dei gratia regina means "Queen by the grace of God." I think it's ironic that American and Canadian coins both mention God. Why? Because North American society does not trust in God; it trusts in money. The recent Canadian election campaign demonstrated this. I don't recall any of the candidates talking about God. But they talked nonstop about money (lowering taxes, creating jobs, reducing the national debt). If we were honest, our money would say, "In God we do not trust." If our trust is in temporary riches, our joy will be temporary. But if our trust is in the eternal God, our joy will be eternal. Jesus said, "Do not lay up for yourselves treasures on earth, where moth and rust destroy and where thieves break in and steal, but lay up for yourselves treasures in heaven, where neither moth nor rust destroys and where thieves do not break in and steal. For where your treasure is, there your heart will be also" (Matthew 6:19-21). And another angel came and stood at the altar with a golden censer, and he was given much incense to offer with the prayers of all the saints on the golden altar before the throne, and the smoke of the incense, with the prayers of the saints, rose before God from the hand of the angel (8:3-4). Incense is symbolic of prayer in the Bible. “Let my prayer be counted as incense before you” (Psalm 141:2). “...golden bowls of incense, which are the prayers of the saints” (5:8). Jesus taught us to pray, “Your kingdom come” (Matthew 6:10; Luke 11:2). The book of Rev-elation reveals that this prayer will be answered: “The kingdom of the world has become the kingdom of our Lord and of his Christ, and he shall reign forever and ever” (11:15). In this vision we see the value of our prayers (“golden censer”). We also see that our prayers do reach God (“before the throne”). “Let us then with confidence draw near to the throne of grace, that we may receive mercy and find grace to help in time of need” (Hebrews 4:16). Then the angel took the censer and filled it with fire from the altar and threw it on the earth, and there were peals of thunder, rumblings of lightning, and an earthquake (8:5). The rest of mankind, who were not killed by these plagues, did not repent of the works of their hands nor give up worshiping demons and idols of gold and silver and bronze and stone and wood, which cannot see or hear or walk (9:20). First, we pray to the God who is real. Second, we pray to the God who hears. Sometimes we wonder if God really hears our prayers. “They cried out with a loud voice, “O Sovereign Lord, holy and true, how long before you will judge and avenge our blood on those who dwell on the earth?” (6:10). Third, we pray to the God who is sovereign. The censer that contained “the prayers of all the saints” (8:3) is filled with fire, which is thrown down to earth (8:5). The prayers of God’s people are answered in the form of judgments upon the earth. “The smoke of the incense, with the prayers of the saints, rose before God” (8:4). “The smoke from [Babylon] goes up forever and ever” (19:3). If God is sovereign, do our prayers matter? God is sovereign, but in His sovereign plan He has chosen to use the prayers of His people to accomplish His will. How then should we pray? First, we should pray with aggressive faith, claiming the promises of God. Second, we should pray with submissive hearts, trusting the wisdom of God.